As we reported on Saturday, the Mountaineers have been in hot pursuit of JUCO shooting guard Sean McNeil. Well, he’s officially on board, per his Twitter. McNeil and Tajzmel Sherman were in town this weekend with Bob Huggins hoping to land one or both of them. McNeil was holding offers from 19 schools including Oklahoma State, Kansas State and Texas Tech from the Big 12. So what can Mountaineer fans expect from McNeil? Extremely good shooting. He averaged four made three-pointers per game and shot 43 percent from long range while playing for Sinclair Community College in Dayton, Ohio. He was named a first-team JUCO All-American last season. This is exactly what this Mountaineer team needed to land, a shooting guard that can step in and contribute immediately. Even better he has three years of eligibility left. 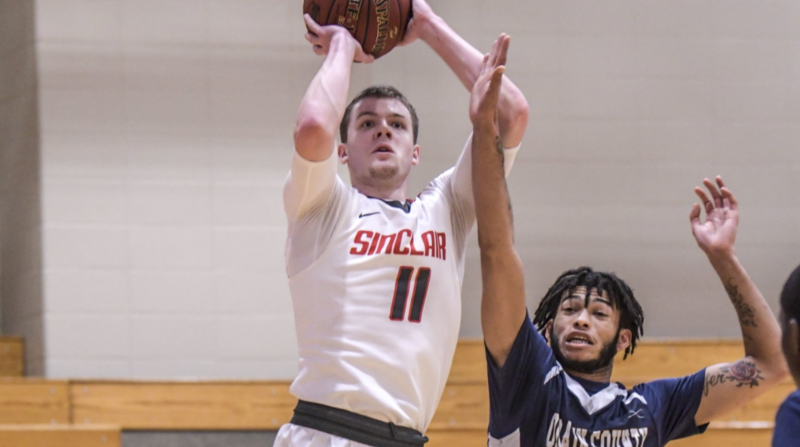 Bob Huggins is looking for his team to make big strides in the 2019-2020 season and landing this premier JUCO shooting guard will go a long way in solidifying the team’s rotation, particularly when it comes to shooting from the wing. Who will the next big signing be for Bob Huggins? Stay tuned as we are monitoring the situation very closely. With Oscar Tshiebwe and Miles McBride in town along with the McNeil signing and “Taz” visit, things are looking up for the Mountaineers.